Description: A clear, colorless organic acid, with a distinctive pungent, sour tasting, tangy flavor. Usually added with water to make vinegar, about 4% – 7%. Also known for industrial uses for paint, pesticides, plastics, and textiles. There are different ways to manufacture acetic acid, some being healthier than others. Description: A colorless liquid obtained by fermentation of sugars and starches. Also helps keep something such as soy sauce fresh. Description: Organic certified. A colorless liquid obtained by fermentation of sugars and starches. Also helps keep something such as soy sauce fresh. Description: Alcohol made from fermented rice. Generally refers to the Japanese cooking wine known as mirin. Not particularly healthy, but one of the more healthier alcohols out there, and generally low in alcohol content. Description: the oval nutlike seed from the almond tree that belongs to the rose family. Almonds are loaded with vitamins, minerals, protein and fiber. They offer multiple health benefits. Description: A thick, oily sauce, about the consistency of ketchup, pressed from anchovies. It has a very strong anchovy taste. Description: A sauce that usually has anchovies, water and salt. Description: An unfermented drink made from crushing apples. Typically the cider is pasteurized. It does contain multiple health benefits, but also high in sugar. Drink in moderation. Description: Organic certified. Vinegar made from fermented apple cider, which has a brownish-gold color. Known to have many healthy benefits. Acts as a meat tenderizer. Description: Could be a natural or articial flavor of the fruit red apple. Description: Is apple juice, but all the water has been evaporated. If prepared properly, it can be healthy. Description: A concentrated food seasoning made from compressed apple wood smoke and water. Often seen as something of a shortcut for jerky makers who don’t have the equipment to smoke their jerky. Used for both food preservation and flavoring. A step in preparing liquid smoke is the carcinogens should be removed. Description: A mixture of ingredients to mimic an applewood smoke flavor. Good or bad ingredients could be used. Description: A small and potent Mexican chili pepper, maybe 7 out of 10 on the heat scale. Arbol is Spanish for tree. Hot peppers are regarded as somewhat healthy to cleanse the body of toxins. Description: An artificial substance used to achieve a specific color in a food. That can be achieved in many different ways, and most likely not healthy at all being artificial. Description: Mesquite flavor, probably concocted in a laboratory, and notoriously unhealthy. A wide range of ingredients can be used, and normally an inexpensive way of using the real ingredient flavor that is intended. Description: Flavors generally concocted in a laboratory and notoriously unhealthy. A wide range of ingredients can be used, and normally an inexpensive way of using the real ingredient flavor that is intended. Description: A white, crystalline vitamin found in citrus fruits and some vegetables. Used to prevent scurvy. Also known as Vitamin C. One of the most expensive sodium based preservatives. Description: A type of mold in the aspergillus plant. Typically used in Japanese cuisine to ferment soy sauce. Description: The substance from the breakdown of yeast cells, which has naturally occurring MSG. Often used as a cheaper substitute for MSG as a food enhancer. Salt is often added, which creates a chemical process called autolysis, which then it is known as autolyzed yeast. Description: An edible oil pressed out of the fruit avocado. High on vitamins and fats. Arguably avocado is the healthiest fruit in the world. Description: Uncured pork meat from a pig that generally has a less amount of fat present compared to cured jerky. Typically, seen as unhealthy because of the amount of fat, cholesterol, and salt. Plus normally preserved (cured) with sodium nitrite, but not the case here being uncured. Other people view the bacon fat as being more healthy than unhealthy, which is where we lean. Description: A type of vinegar that originated in Italy. The vinegar is made with grapes, and fermented a minimum 12 years. Garlic and spices are added, considered very healthy. Description: A very healthy tropical fruit, which is mild tasting. Not a common ingredient used in jerky. Contains multiple health benefits, and high in magnesium. Description: Crushed banana in a smooth, creamy texture. Banana has multiple health benefits. Description: A mixture of spices, dried sauces and sugar. A wide variety of ingredients can be used. Description: A flavorful sauce typically containing vinegar, tomatoes, sugar, and spices, basted on foods. Description: A sweetener extracted from sprouted barley. A more natural sugar that is better absorbed by the body compared to more refined sugars. Description: A herb from the mint family. Offers many health benefits. Description: A mixture of spices, salt, sugar and likely tomato powder. Can vary wildly. Description: A cut of meat from a cow. Description: A cut of meat from a cow that is ethically raised, which includes free range, where grass is a natural part of the cows diet. Description: Halal means the meat is allowed for consumption under Islamic dietary guidelines. The aim is for a Muslim to slaughter the animal, limiting the amount of pain the animal will endure. Description: Kosher means the meat is allowed for consumption under Jewish dietary guidelines. The aim is for a Rabbi to slaughter the animal, limiting the amount of pain the animal will endure. Description: A mixture of glucose and fructose, with water added. Known to be extra sweet tasating. Not so healthy. Description: Broth is the liquid left over after boiling beef in water, and then dried into powder form. If bones are used, the broth will be loaded with minerals and trace minerals. Generally considered to be healthy. Description: A liquid in which meat is simmered in water. Often bones are used, and a wide variety of other ingredients could be added. A good source of calcium if bones are used. Description: An alcoholic beverage usually made with hops, malt, and yeast. Has some health benefits, but should be drank in moderation. Description: Odell Brombeere BlackBerry Gose beer is made by Odell Brewing Co, based out of Fort Collins, Colorado. By definition gose (GOES-uh) is a sour tasting beer. It does use real blackberries, and this is a German-style wheat beer. While not particularly healthy, it should be consumed in moderation. Description: Chocolate Stout beer does normally use some sort of chocolate, and has a higher alcohol content. Can be bitter tasting. Healthy cocoa nibs may be used, where dark chocolate is healthy. Should be consumed in moderation. The quality can vary. Description: Dried beets grinded into powder form. The vegetable beets are packed with vitamins and minerals, which offers multiple health benefits. Description: A colored red-orange pigment abundant in plants and fruits. Known as a ?-Carotene is an organic, strongly colored red-orange pigment abundant in plants and fruits. The human body converts beta carotene to vitamin A. Description: An abbreviation for butylated hydroxyanisole. Used as a preservative in food. While “generally recognized as safe” (gras), there is evidence to suggest that it is carcinogenic. Description: An abbreviation for butylated hydroxytoluene. An antioxidant whose main purpose is to keep food fresh, and prevent rancidity. There is much controversy if this is a dangerous product. As a general rule, try to minimize how much BHT you consume. Description: The official name for ghost peppers. A variety of chili pepper that are insanely hot. Also known as naga jolokia, which made it to the Guinness Book of World Records after tests showed them to have more than 1 million Scoville units, a system used to measure the heat of chili peppers varieties. For comparison, habanero and scotch bonnet chili peppers rank 100,000 – 350,000 on the Scoville scale. Hot peppers are known to be healthy, if eaten in moderation. Description: Meat from bison which are very similar to buffalo. Definitely more healthy than beef. Description: The small, dark, unripe fruit of the pepper plant, used whole or ground as a pungent spice. Acts as a diarrhetic. It also encourages our bodies to sweat and get rid of harmful toxins. Rich in antioxidants, vitamins, and minerals that have disease preventing and health promoting properties. Referred to as ‘king of spices’, although many spices can make that claim. Description: The small, dark, unripe fruit of the pepper plant, used as a pungent spice. Part of a peppercorn that has been broken down to a smaller size. Acts as a diarrheic. It also encourages our bodies to sweat and get rid of harmful toxins. Rich in antioxidants, vitamins, and minerals that have disease preventing and health promoting properties. Referred to as ‘king of spices’, although many spices can make that claim. Description: Organic certified. The small, dark, unripe fruit of the pepper plant, used whole or ground as a pungent spice. Acts as a diarrhetic. It also encourages our bodies to sweat and get rid of harmful toxins. Rich in antioxidants, vitamins, and minerals that have disease preventing and health promoting properties. Referred to as ‘king of spices’, although many spices can make that claim. Description: A flowering vine cultivated for its fruit. A dried fruit is known as a peppercorn. Offers many health benefits. Description: An artificial dye, known as brilliant blue. Generally made from an oil product. Not considered to be healthy. Description: Mainly made in Mexico, the nectar from an Agave Tequiliana plant. Considered one of the better sweetners out there. Has limited health benefits. The quality can vary. Description: Blueberries are high on vitamin C, very healthy, and contain many antioxidants. Description: A kind of American whiskey, distilled from maize and rye. Not very healthy. Description: The Jim Beam® brand of a type of American whiskey, distilled from maize and rye. Not very healthy. Description: Artificially flavored bourbon, a cheap alternative to real bourbon, which is expensive. Ingredients can vary, but very likely not to be healthy. Description: A large reddish dark black berry, which resembles a blackberry. Contains multiple health benefits. Should be consumed in moderation with its natural sugars. Description: A starter culture is a microbiological culture that actually performs fermentation. Not considered to be healthy or unhealthy. Description: White sugar mixed with molasses. Description: White organic sugar mixed with molasses. One of the better types of sugar out there. Consumption of sugar is not considred healthy. Description: Brown sugar mixed with other ingredients that coats the jerky with a fine film. The ingredients used can vary wildly. Description: A red table wine. Normally made in the Burgundy region of France, but not always. A reddish-purple color. Can be white wine also, but not typically. Description: Butter mixed with sugar, used as a topping or filling. More often used for pastries, cakes, and cookies. Description: The slightly sour tasting remains after butter has been separated from milk or cream. There are different methods of obtaining buttermilk, some better than others. Generally used for baking. Considered to be healthy, but should be consumed in moderation. Description: A green or purple vegetable that offers many health benefits. Description: A premium red grape used to make wine. Most known in France and California. Wine offers multiple health benefits is consumed in moderation. Description: A crystalline compound usually found in coffee or tea plants. Can be used in medicine as a nervous system stimulant. Mixed opinions if healthy or not. Description: Could be a wide variety of ingredients. 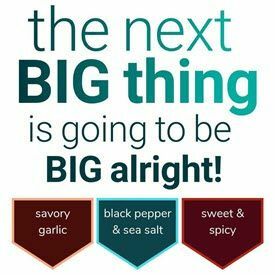 Typically you would see onion powder, garlic powder, celery powder, and perhaps a hotter spice like red chili peppers, or cayenne pepper. Description: A type of salt more widely used to de-ice roads. In the food industry, adds a saltiness type without adding extra sodium. Also acts as a preservative and a thickener. Generally considered to be safe for consumption in small quantities. Description: Calcium disodium EDTA (Ethylenediaminetetraacetic) works as a chelating agent, meanig it binds to metals and prevents them from participating in chemical reactions that might cause discoloration or flavor loss. Is toxic to humans in high doses. Also works as a preservative. Description: The thick viscous syrup made from sugar cane. A sweetener that contains a fair amount of minerals. Description: Is sucrose extracted from sugar cane. While too much of any sugar is not good, cane sugar is one of the healthier choices. Description: A sweet crystalline or powdered substance in organic form. White when pure, consisting of sucrose, obtained mainly from sugar cane and sugar beets. Somewhat less refined to regular white sugar, but known to be unhealthy. Description: A mill washes, chops, and shreds sugar cane mechanically. The sugar is then heated. Sulfuer dixoide is added to remove impurities. Lime is then added. Does not offer many health benefits. Description: Canola oil that has been physically squeezed out of the seeds of the canola plant, using a machine known as an ‘expeller press’, as opposed to being solvent extracted. This is a more expensive method of extracting canola oil. Controversial if canola oil offers many health benefits or not. Description: Primarily used for food colorings, generally for a brown hue. Derived from cooking carbohydrates. A controversial substance depending on how it is created. Also acts as an emulsifier and enhances flavor. Description: Primarily used for food colorings, generally for a brown hue, and in this case organic. Derived from cooking carbohydrates. A controversial substance depending on how it is created. Also acts as an emulsifier and enhances flavor. Description: Bubbly water, charged under pressure with purified carbon dioxide gas. Also called club soda, seltzer, soda, and soda water. While not healthy, it is pretty harmless to our bodies. Description: A spice from the ginger family. It offers multiple health benefits. Description: An orange-red to dark red, very hot condiment, made from the dried seeds of various organic capsicums. Could be referred to as red peppers. Known to have several health benefits, and high in antioxidants, counteracting free radicals. Description: Being aged, the cayenne peppers would be fermented. An orange-red to dark red, very hot condiment, made from the dried seeds of various capsicums. Could be referred to as red peppers. Known to have several health benefits, and high in antioxidants, counteracting free radicals. Description: A hot sauce which would contain the cayenne pepper. Cayenne pepper is healthy if you can handle the intense heat. The ingredients for this sauce can vary wildly. Description: A vegetable with pale green stems that can be eaten raw or cooked. Celery offers many health benefits. Description: Dehydrated celery in powder form. Can act as a preservative, where celery has naturally forming nitrates. Celery in general is healthy, but the nitrites are up for debate. Description: The vegetable celery is fermented, dried, and then crushed into powdered form. Acts as preservative for meat with celery’s natural nitrates, and an alternative of sodium nitrite. Fermented foods are considered to be very healthy. Description: Seeds from the vegetable celery. An excellent source of antioxidants, enzymes, and vitamins. Description: Minuscule pieces of wood pulp or other plant fibers that coat the cheese and keep it from clumping by blocking out moisture. Used as a anti-caking agent. Has no nutritional benefits. Debatable if healthy or not for human consumption. Description: A mixture of spices used for meat sticks. Could be comprised of many different things. Description: A firm smooth cheese usually made from cow milk. The type of cheddar produced can vary. A good source of calcium and some vitamins. Cheese is generally considered to be healthy. Description: Used as a starting culture to ripen the cheddar cheese. The type of cheddar cheese culture used could vary. Description: Dried cherries grinded into powder form. Cherries are packed with Vitamin C, and offers multipe health benefits. Description: A seed from the mint family that is certified organic. A great source of Omega 3 and high in fiber, among other things. Routinely referred to as being in the superfood category. Description: A domestic fowl, where typically only chicken breast is used for jerky. The manner of how chicken are raised can vary widely. Description: The fat from chicken is considered to be a healthy type of fat. High in linoleic acid, which is a type of omega-6 fatty acid. The quality of chicken fat can vary. Description: A blend of ingredients to achieve a chili lime flavor. The ingredients can vary widely. Description: Generally a thick sauces made from chili peppers, and often containing oil, salt, and garlic. Chili peppers are healthy if eaten in moderation, which flush toxins out of the body. Description: A variety of dehydrated (dried) chili peppers, including seeds that are certified organic. Medium heat intensity, not for everybody. A great source of vitamins and minerals. Known as a superfood. Description: Probably a variety of dehydrated (dried) chili peppers, including seeds, mixed with salt. Medium heat intensity, not for everybody. A great source of vitamins and minerals. Known as a superfood. Description: A normally hot sauce, which can include a wide variety of ingredients. Description: Also referred to as the 7-pot chile pepper, indigenous to Trinidad. Healthy if eaten in moderation. Description: A hot sauce made in Mexico consisting of water, salt, peppers and vinegar. Description: An herb from the parsley family. It is similar to coriander, and offers multiple health benefits. Description: An herb from the parsley family that is certified organic. It is similar to coriander, and offers multiple health benefits. Description: A dried herb from the parsley family. It is similar to coriander, and offers multiple health benefits. Description: An aromatic spices that comes from the bark in an Asian tree. It offers multiple health benefits. Description: A white, odorless acid that has a sour taste, which is found widely in plants, especially in citrus fruit. Gives jerky a tangy taste. Acts as a preservative to keep bacteria and mold at bay. Also acts as a flavor enhancer. Related to vitamin C.
Description: A white, odorless acid that has a sour taste, and is certified organic. This acid is found widely in plants, especially in citrus fruit. Gives jerky a tangy taste. Acts as a preservative to keep bacteria and mold at bay. Also acts as a flavor enhancer. Related to vitamin C.
Description: A white, odorless acid that has a sour taste, which is found widely in plants, especially in citrus fruit. Being encapsulated means that the release of citric acid is slower, and not really until it is cooked at a temperature over 130 degrees. Citric acid gives jerky a tangy taste. Acts as a preservative to keep bacteria and mold at bay. Also acts as a flavor enhancer. The quality of citric acid can vary. Description: A pungent, aromatic dried flower bud of a tropical evergreen tree manufactured as certified organic. Once dried to a spice, cloves are known as a superfood. They are nutrient dense, and have many health benefits. Description: Roasted cacao beans separated from their husks, and then broken into pieces. An ancient ingredient often referered to as a super food, offerening many health benefits. Description: The seed of a tropical palm tree. A very large nut with a hairy shell, which has white flesh, and milky type of juice inside. Known to be extremely healthy. Description: The flesh from the fruit coconut, which is guaranteed to be certified organic. Coconuts offer many health benefits, which many people consider to be a superfood. Description: A natural sugar extracted from the sap of a coconut palm, and certified organic. The sap is then heated until most of the water is evaporated. Considered to be on the better sweeteners out there as it retains nutrients and minerals. However, it is still loaded with fructose, where sugar in general is not healthy. Description: A drink made from roasted seeds of a coffee plant, where there are many varieties. Offers many health benefits, but should be drunk in moderation. Description: a carbonated soft drink. Not considered to be healthy. Generally high in sugar, and often use artificial color. Description: Comes from layer of beef hide. Processed and refined to package sausages or meat sticks. Normally has a tender bite, and snap sound when biting the product. The production of collagen can vary widely, and not considered to be healthy. Description: An herb from the parsley family. Commonly used in Indian cuisine. It offers multiple health benefits. Description: An herb from the parsley family that is certified organic. Commonly used in Indian cuisine. It offers multiple health benefits. Description: From the parsley family, it has aromatic leaves and seeds. It is very similar to cilantro. It offers many health benefits. Description: An oil obtained by expressing the germs of corn kernels. Is resistant to smoke and discoloration when cooking. A source of Vitamin E, and essential fatty acids. High in omega-6 fatty acids, but low in omega-3s, which is lacking in many diets today. Description: Corn syrup is made from the starch of maize (corn). Used as a sweetener which is resitant to crystallizing, unlike sugar. Description: Corn syrup is made from the starch of maize (corn), this being in powder form. Used as a sweetener which is resistant to crystallizing, unlike sugar. Description: Dried corn syrup made from the starch of maize (corn). Used as a sweetener, and called solids when the syrup is dry. Description: Starch prepared from corn grains. The primary purpose is used as a thickener in cooking. Has a white color, and is highly refined. Description: A fatty oil obtained from the cotton seed plant. Contains many antioxidants and rich in vitamin E. Enhances the taste of fresh foods. Generally considered to be healthy. Description: The healthy fruit cranberries cooked with water, sugar, and possibly other ingredients. Afterwards the cranberries are mashed and cooled, which allows the cranberry sauce to develop into a jelly. Cranberries are known to offer multiple health benefits. Description: The higher-butterfat layer skimmed from the top of milk. There are different classes of cream depending of the buttermilk content. Mixed opinion if healthy or not. Description: The large, fleshy pineapple fruit in crushed form. Pineapple has an enzyme named bromelain which is very effective in tenderizing the meat by degrading the meat’s tough fibers. Pineapple is super healthy, loaded with Vitamin C and manganese. Description: Dehydrated (dried) red chili peppers Not made from one pepper, contains various red peppers and seeds. Medium heat intensity. A great source of vitamins and minerals. Known as a superfood. Description: Used as a meat preservative, where celery has naturally forming nitrates. Celery in general is healthy, but the nitrites are up for debate. Description: A type of natural preservative to prevent bacteria and mold from growing. Dextrose is a type of sugar. Description: The products made by using a lactic acid bacteria culture. Aids in fermenting milk. Fermented products are considered to be healthy. Description: An spice from the parsley family that is certified organic. Commonly used in Indian cuisine, and curry based flavors. It offers multiple health benefits. Description: A mix of salt and sodium nitrite. While not always true, sodium nitrite should ideally be less than 1% of the mix. In some cures, the sodium nitrite content can be 4%-7%, which is way too much, Sodium nitrite is not so healthy. Description: Refers to bacon preserved with nitrites. Bacon jerky only uses the term ‘Cured with’, and nitrites give a pinkish, reddish color to the bacon.. Nitrites cooked with meat at high temperatures can form nitrosamines, which is a known carcinogen. Description: A common spice with a golden-yellow coloring. A mixture of multiple spices which can include coriander, cumin, turmeric, ginger, cloves and others. Supremely healthy.